Perfect for the show ring this bridle is crafted from soft supple leather featuring stainless steel buckles. 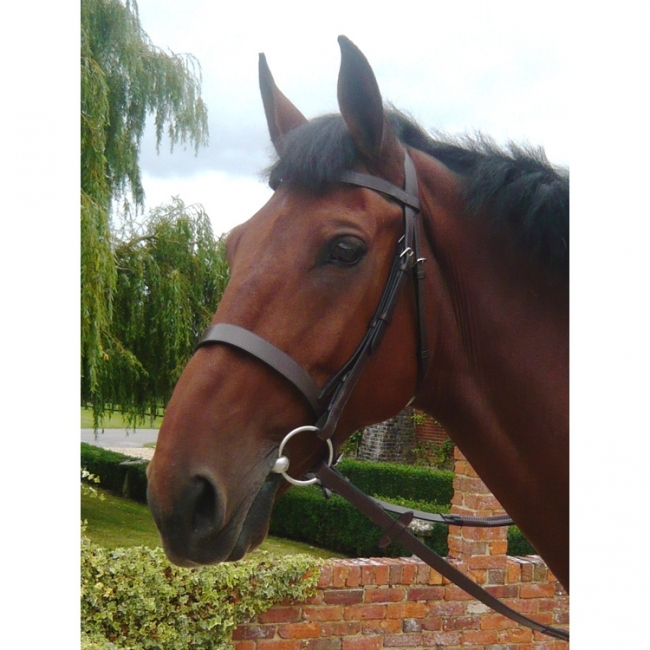 With a thick plain noseband and browband this bridle compliments the horse's face perfectly. Comes with a set of rubber reins.